1. Process pistachios (and almonds, if using) in a food processor until roughly chopped. Transfer to a bowl. 2. In food processor process tahini, agave and vanilla until smooth. Add to nut mixture and stir until it forms a large smooth ball. 3. Using a tablespoon, scoop up about 15 equal portions. Roll each portions in the palm of your hand and then in raw sesame seeds. 4. 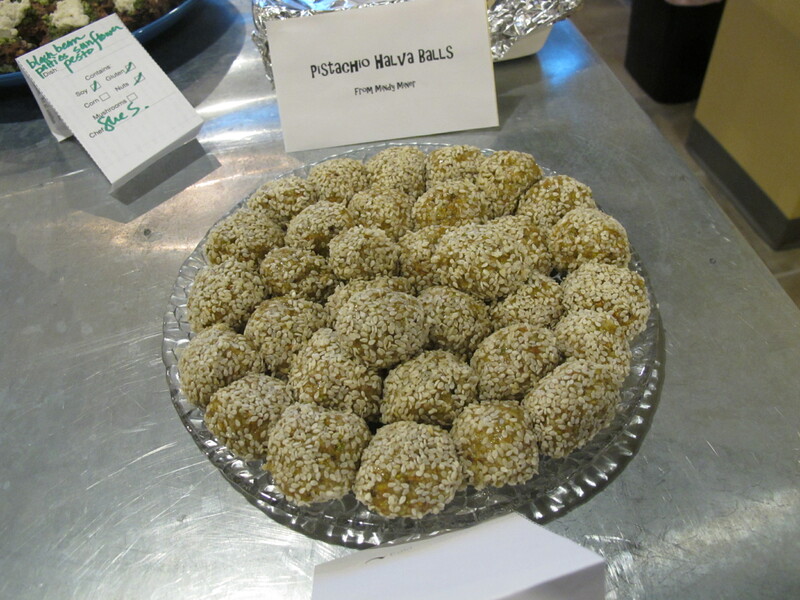 Place balls on plate or baking sheet covered with parchment paper and place in the freezer for 10 minutes. Serve immediately or transfer to an airtight container and refrigerate for up to 7 days.